- we have tried to divide clinical cases into groups even if many patients represented complicated cases (for instance nodules + hypothyroidism or thyroiditis + nodules or thyroiditis + hypothyroidism or a combination of the three pathologies all together). Consequently, many cases could have formed part of different groups, but we have decided to describe each case under a single group only. For this reason, we recommend reading every published case. 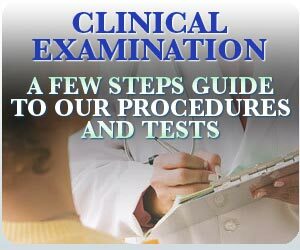 People who are lazy or do not have enough time to read every clinical case can read the cases which will be described at the end of this document: we have not chosen the most important cases, but ten cases which represent a summary of the several problems relating to the thyroid. These cases represent a small part of the published ones: we recommend reading the other clinical cases as well. 1) A girl born in 1978, first came to the Medical Centre on September 28, 2005. She had been diagnosed with hypothyroidism and autoimmune thyroiditis, therefore she had been taking 75 mcg of the thyroid hormone since 2004. The case was particularly difficult because, in spite of the hormones, TSH levels were high and there was the prospect of increasing the dose more and more up to 100 mcg. In addition, according to the case file, TSH levels had been on the increase “in spite of Eutirox”. Furthermore, the hormone was not even able to reduce the number of antibodies. The prospects were not rosy. Whoever is informed about the “rehabilitation of the thyroid” knows how difficult it is to reduce both TSH levels and hormonal quantities at once. In any case, we succeeded in restoring the functioning of the thyroid rapidly: the patient stopped taking the hormone on May 1, 2006. The analyses taken on August 21, 2007, that is one year later, proved that the values had reverted to normal with TSH levels equal to 4.68 and perfect hormonal levels. Antibodies tended to decrease as well, especially anti-thyroglobulin, dropping from 10,000 to 3,000. This clinical case is particularly interesting because it regarded a patient who was not completely reliable while following the prescribed therapy. In addition, the patient was vegetarian and this represented an additional obstacle to the treatment of her hypothyroidism. This first case already illustrates the potential of the treatment carried out by Biological and Integrated Medicine. 2) An extremely complicated case regarding a 46-year-old woman (December 5, 2000) who had been diagnosed with hypothyroidism with Hashimoto’s Thyroiditis. She brought with her the latest three analyses taken in July, October and November 2000 which highlighted a situation that was even more complicated because the patient suffered from many other serious pathologies: allergic asthma with lg E equal to 5161 (normal values up to 200), serious renal insufficiency with diuresis inferior to 500ml/day and very low clearance of creatinine, hypertension and, lastly, antinuclear antibodies positivity. Furthermore, she had undergone an operation for tumour of the colon. From the thyroid point of view, analyses were peculiar as well: TSH levels were constantly equal to 0.00 or 0.01 (indicating serious hyperthyroidism), anti-TPO antibodies levels were constantly over 1000 (indicating thyroiditis) and thyroid hormones values were particularly variable, sometimes high, like in mid-October, sometimes very low, like in November, however never normal! The situation was very complicated and it was due to the several drugs (including the thyroid hormone) she had to take and to her symptoms, starting from her overbearing tiredness. First of all, we proposed her a short period of fasting therapy in order to “clean and reset” her body as much as possible, eliminating the drugs she was taking with the exception of the thyroid hormone that we intended to exclude later. Afterwards, we prescribed her some biological therapies that were suitable for her case. In Spring, in addition to the fact that she felt healthier, thyroid analyses were absolutely perfect; TSH levels were equal to 1,52, FT3 levels were equal to 1,98, FT4 levels were equal to 8,73, anti-TPO antibodies were equal to 40 (n. v. up to 50). 3) A 45-year-old man who came to the Medical Centre on September 30, 2004. He suffered from Hashimoto’s thyroiditis. Three months before he had undergone an examination the results of which underlined high levels of anti-TPO antibodies (829, normal values up to 70), in addition to a slight increase in anti-TG antibodies (168, normal values up to 70). After the treatment carried out by Biological Medicine, every value reverted to normal as of February 2005 and the latest analyses dated December 20, 2005 pinpointed that the values relating to antibodies were still perfect, with anti-TPO levels equal to 60 (normal values up to 80) and anti-TG levels equal to 39 (normal values up to 130). 4) A 64-year-old woman came to our Medical Centre from the far Trieste. The first time she came on November 7, 2006, she had been diagnosed with hypothyroidism and autoimmune thyroiditis: her TSH levels were very high, whilst FT3 and FT4 levels were very low. For instance, on June 14, 2006, TSH levels were equal to 24,93 and on October 5, 2006, they were equal to 21,65 (n. v. up to 4,20). According to the same analyses, FT3 levels were equal to 2,50 and 3,8 (n. v. from 3,10 up to 6,80) and FT4 levels were equal to 4,90 and 9,84 (n. v. between 12 and 22). What is more, anti-thyroglobulin antibodies were approximately equal to 1350 in both the above mentioned analyses. In spite of her condition, the patient refused to take the hormone for her whole life and came to our Medical Centre. On December 7, 2006, after being treated for less than a month, TSH levels dropped to 12,12 and hormonal levels started to increase. On May 5, 2007, TSH levels had kept on decreasing reaching 6,5 and hormonal levels had kept on increasing as well. Lastly, on September 11, 2007, TSH levels had dropped to 4,56 and hormones had regularized (FT3 levels equal to 5,06 and FT4 levels equal to 12,48); in addition, anti-thyroglobulin antibodies had gradually decreased dropping to 989 and then to 744. 5) A girl born on July 12, 1982, a historical day for football fans since Italy became world champion in Spain. When she was 13 years old, she started suffering from Hashimoto’s thyroiditis and she started taking the thyroid hormone. We first saw her on October 11, 2002 and then, TPO antibodies were almost always more than 3,000, reaching a peak of 8,845 while normal values reach the number of 60. It happened in spite of the hormone. Despite realizing that the hormone was just worsening the situation, the girl’s parents kept on giving her the hormone because the endocrinologist had said that she couldn’t live without it, otherwise she would suffer from serious hypothyroidism. Every patient suffering from thyroiditis knows the axiom according to which antibodies “will devour” the thyroid gland causing hypothyroidism. However, this case like many other cases mentioned on our site proves that this axiom is groundless; in other words, if the thyroid is treated well, it can work perfectly in spite of antibodies. In fact, we suggested her the gradual elimination of 50 mcg of the hormone and the thyroid was successfully rehabilitated with perfect TSH and antibodies levels; the latest examinations she brought with her in September 2005 showed that TSH levels were perfect since they were equal to 1,23 and the hormones had reverted to normal as well. Antibodies had dropped to 2,000 and they did not represent an obstacle to the correct functioning of the gland. 6) A 52-year-old woman who had been diagnosed with Hashimoto’s thyroiditis and hypothyroidism first came on July 1, 2006; her second-last examination dated November 2005 highlighted anti-TPO antibodies levels equal to 2592,5 (n. b. normal values are equal to 12!!! ); her latest analyses dated March 2006 revealed that the values were equal to 8911,2, whilst normal values are equal to 12. There is no need to say that the values were extremely high! After being treated according to our method, she took new analyses on September 2, 2006 which showed that anti-TPO antibodies had been completely reset. N. B.: in Turin, the staff of the laboratory which is accredited by the Health National Service deemed it appropriate to check the values again confirming the complete disappearance of the antibodies. 7) A woman born in 1955 came to our Medical Centre on January 24, 2006 because she intended to find a cure for her thyroid nodules, eliminating the hormone (she had been taking 75 mcg of the hormone since 1998) and to lose 4-5 kilograms she had put on in the previous period of time (she weighed 63 kilograms, but her ideal weight had always been 58). Her ultrasound scans highlighted the presence of three nodules, two of them were on the right and they were respectively 18x10 and 5,5 mm big, the third one was on the left and measured 10 mm. Thanks to our treatment, she reached all of the three purposes she had set managing to weigh 58 kilograms in April 2006, to reduce the hormone gradually and to finally eliminate it in December 2006 (obviously with perfect analyses) and, lastly, her last ultrasound scan dated September 2007, highlighted the disappearance of the left nodule, whilst on the right, there were two contiguous nodules measuring just 5 mm. Before coming to the Broussais Medical Centre, the patient feared that her thyroid had to be extirpated, therefore, she heaved a deep sigh of relief. 8) A young 33-year-old woman first came on September 17, 2003. She had been diagnosed with hypothyroidism and Hashimoto’s thyroiditis. The latest examinations she had had in the first half of 2003 highlighted that TSH levels were permanently above the norm (TSH values were equal to 8,40 in January, equal to 5,20 in March, equal to 5,40 in April and equal to 5,80 in June, whilst normal values should be equal to 3,00) despite taking strong doses of the hormone, which were constantly increased by the endocrinologist. On September 17, at the time of the first medical examination, she was taking 137.5 mcg of hormone, that is to say, a 100 pill plus half a 75 pill. 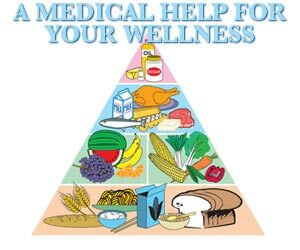 Our functional check-up underlined several energetic and metabolic imbalances and, in particular, a state of remarkable hypo-oxidative tendency (see the “Superior Nutrition” section) and, if we had not corrected such an imbalance, we would not have had any chance to heal hypothyroidism. The treatment of such a strong energetic imbalance implies taking more than one measure, from bio-resonance to biological therapies, also including a specific nutritional protocol for hypothyroidism. The first results were immediately visible the month after: in fact, according to the examinations taken on October 24, 2003 TSH levels were equal to 1,8 which proved a double success since during the first medical examination we had already reduced the hormone dose from 137,5 mcg to 100 mcg. People who know something about the thyroid gland will also know that if the synthetic hormone dose is reduced, TSH levels immediately rocket up, especially in patients who already suffer from hypothyroidism. It was a double accomplishment because reducing TSH levels keeping the hormone at 137.5 would have already represented a great achievement, therefore, reducing it to 100 was a huge success. Later, the patient was informed that if we had reduced the hormone quantity gradually, TSH levels could have temporarily increased again, but such an eventuality is predictable while reducing the hormone itself. Therefore, during the following months, the rehabilitation of the thyroid gland went on and the hormone dose was reduced to 75 mcg in November 2003, to 50 mcg in March 2004 and to 25 mcg in September 2004 and it was finally eliminated in July 2005 after the last examinations taken on June 13, 2005 had highlighted that TSH levels were perfect and equal to 1,9 and thyroid hormones were perfect as well. We have just described the clinical examinations regarding this thyroidism case, but it is important to underline that every clinical case hides a human being with a personal background. In this case like in many other cases, the consumption of the thyroid hormone had caused several undesirable side effects such as palpitations, insomnia, tachycardia and overweight (10 kilograms more, reaching the weight of 60 kilograms from a standard weight of 49-50 kilograms). 9) A 41-year-old woman first came to our Medical Centre on January 11, 2005. This case is described under the hyperthyroidism section even if she was first diagnosed with “multi-nodular goitre”. According to the first ultrasound scan, the biggest nodule measured 25 mm. Before coming to our Medical Centre, she had had an examination on December 7, 2004 which had pinpointed that TSH levels were equal to 0.06. In addition, the last two ultrasound scans had confirmed the presence of several nodules, the number of which was on the increase (the biggest one was 30x20x15 mm). As a therapy, the patient had been taking a pill and a half of tapazole and 125 mg of the thyroid hormone for five years. In 2000, when she was hospitalized, she was advised to undergo an operation. She was treated with Biological Medicine and drugs were gradually reduced and then eliminated (tapazole in April and the thyroid hormone in August). Examinations taken during 2005 were always perfect, including the last ones taken in October, before the publication of the case. According to the ultrasound technician, the last ultrasound scan had improved as well. The technician was aware of the therapeutic choice of the patient, therefore he took note of it and congratulated with her. 10) The peculiar case of a girl born in 1982 who suffered from hypothyroidism. She first came to our Medical Centre on November 8, 2005 after many useless attempts to cure herself with nine different natural, homotoxicologic and homeopathic drugs she used to take through injections and which were very expensive: TSH levels kept on being high. After being treated with our method, which was more complete than simple homeopathic methods (for instance, see the section regarding metabolic types), she immediately recovered. In fact, the analyses taken on January 4, 2006 proved that TSH levels had already reverted to normal being equal to 2,280, which was reconfirmed by the examinations she brought on September 22, 2006, where the values were equal to 2,580. This case of hypothyroidism was solved easily and elementarily, just correcting the oxidative type of the young patient. 11) A 39-year-old woman first came to our Medical Centre on July 3, 2006. Her latest ultrasound scan had diagnosed her with thyroiditis. The examination underlined that “the thyroid has diffusely increased in volume, with larger hyperecogenous areas on the right”. After being treated, she had another ultrasound scan with the same technician which underlined that “the volume of the lobes of the thyroid is normal, without nodular lesions”. 12) A girl born in 1971 who had been diagnosed with hypothyroidism in July 2006, with TSH levels equal to 12,290 (n. v. up to 4,2) and FT4 levels equal to 8,92 (n. v. between 9,30 and 17). The patient refused to take the synthetic hormone and started using “natural” things (such as algae) without any results since TSH and FT4 levels were respectively equal to 14,930 and 8,48. She first came on November 24, 2006 and she started following our therapy; in January, TSH levels had dropped to 5,2 and FT4 levels were equal to 10,09. The last analyses taken in May 2007 before the publication of the case underlined perfect levels of the thyroid hormones and TSH levels equal to 0,26, which was a prove of her complete recovery and also indicated that the temporary biological treatment undergone by the patient had been superfluous. 13) A woman born in 1959, who was first examined on September 27, 2006. She had been diagnosed with hypothyroidism, thyroiditis and a thyroid nodule. She told us she was first diagnosed with hypothyroidism in 1992 when her examinations highlighted high TSH levels. Since then, she had been taking the thyroid hormone in different doses; the day of her first medical examination, the dose was equal to 125 mcg. Doctors had already tried to increase the dose up to 150 mcg, but the patient could not tolerate it. The ultrasound scan she brought with her pinpointed that “the thyroid was at the lowest limits of the norm, being 11 and 10,7 mm thick”. Her antibodies levels were high as well. It looked like an “impossible” case because of the small dimensions of the gland, of the high levels of her antibodies and taking into consideration the fact that she had been taking big doses of hormones for fourteen years. However, thanks to the collaboration of this careful patient, we gradually rehabilitated her thyroid as well. The hormone was gradually reduced and it was definitively eliminated in March 2008. The examinations she brought with her in June 2008 highlighted that TSH levels were equal to 4,2 and that hormones and antibodies were good as well. The examinations dated October 27, 2008 were even better since TSH levels were equal to 3,4 with normal values equal to 4,500. Consequently, other parameters were perfect as well and, what is more important, the patient felt in top shape, contrarily to how she felt at the time of her first medical examination. 14) The story of a child born in 1999 who came on January 15, 2008 for the first time. In May 2007, she was examined by her paediatrician because she had put on some kilograms. Since the paediatrician did not manage to let her lose weight, she sent the child to the endocrinologist who obviously prescribed her thyroid function tests in order to understand if the problem depended on the gland. Everything was perfect, with the exception of a trivial increase in the number of anti-TPO antibodies which was meaningless from a pathological point of view. Obviously, the child’s parents were told that their daughter suffered from Hashimoto’s thyroiditis and from subclinical hypothyroidism and were recommended a treatment based upon the hormone. Had they taken that advise, the fate of their child would have been settled as it happens for many other people. Luckily, one of the parents of the child worked with a colleague whose hypothyroidism had been treated at our Medical Centre without prescribing hormones. When we saw the child, we took some time to understand that we simply had to chose a preventive strategy because she was healthy and she did not suffer from Hashimoto’s hypothyroidism. In any case, even the slightest predisposition to the hypo-functioning of the thyroid gland did not represent a good reason to “sentence” an eight-year-old child to the assumption of the hormone for her whole life. It should be understood that an endocrine gland which is just a bit strained (hypothyroidism) can be treated and rehabilitated without hormones.